Nature Titles from KIDS FIRST! DRAMAFORUM This title has online video! KIDS FIRST!® Adult Jurors say - Petra's Planet is a free and fun virtual world for kids although there are also paid membership options available too. When you sign up, you design your own Avatar and give him a name that is not your real name. (Which is a good thing!) I recommend for ages 6-10. The paid memberships include Premium Pet Toys, Special Clothing, Exclusive Explorer Outfit and a Kipps allowance. Kipps money allows you to make purchases for your Avatar. If you are a member, you can also join dance parties which the older kids will like. There are a lot of fun games and different challenges and it seems quite easy to navigate. You can even chat with other kids which I think the children will enjoy. The best thing is that kids can also learn about other places and people in different countries which also makes this educational. There is also a variety of different things to do on the website so children don't get bored easily. It is entertaining and engaging. The website seems to be a safe interactive and fun place for kids. I would give this 4 stars out of 5. Petra's planet is a fun and educational website. It is something that any child between the ages of eight and twelve would enjoy. You get to create your own character and build and decorate his or her room. Then the fun begins. 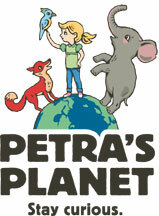 Petra's planet has a lot of fun games, challenges and unique ways to explore and learn about the world. You earn tokens by completing the challenges. This allows you to upgrade your character and buy lots of cool things to personalize your space. Any child that is interested in learning about different parts of the world will really find this website fun. It teaches children about the different cultures, animals and cuisines of many different countries and much more. The website is also used for chatting and interacting with other children online. The website is monitored and is secure and safe for children to use. There are three levels of membership so the payment plan is very flexible. Petra's Planet is a great introduction to online virtual realities for kids. KIDS FIRST!® Kid Jurors say - Petra's Planet is a clever combination of fun and education in a virtual world setting. You can travel to different parts of the world and see new cultures and animals, all in the comfort of your own home. Each time you encounter a new animal you receive a card and it makes for an enjoyable card game. You can play entertaining mini-games where you earn you KIPPs coins that allow you to buy cool clothes for your avatar and your adopted pet. When you're done exploring places like Jordon and Sri Lanka you can relax in your own customizable room. Not only can you do it by yourself, you can also chat with people and make new friends. This allows you to compete in multiplayer mini-games. Petra's Planet will have you exploring, learning, and having a blast. Reviewed by Keefer C. Blakeslee, KIDS FIRST! Film Critic, age 14. I started playing the FREE online virtual world game Petra's Planet and I am hooked on it. First you make an avatar which will take you through many adventures as you travel around the world. The goal is to visit different countries. Each country has various games and quests related to its culture. Animals, sports, clothes and many other tasks are available. You can play this game on your own or you can invite other avatars to play with you. They will visit your houses, help you with quests or whatever you and your new friends decide to do. There is a mail box to talk to each other. You can write your own messages or use a pop up menu. Game coins are earned and used for houses, accessories, clothes, pets and other supplies. Playing can take you an hour or as long as you like depending on how far you would like to get in the game. I have playing for a few days and have enjoyed every minute of it. The age range is 5 and up. So if you would like to learn about other cultures this is perfect for you. Play, learn and have a great time. DIANE RANDOLPH This title has online video! Description - The impact of the two principal moon phases, the new and full moons, on our ocean's inhabitants is very noticeable for those of us that care to observe. Many scholars and scientists have devoted their life's work to the study of the moon and its impact on marine creature behavior. The increased activity in marine life around these two lunar phases is fascinating to encounter and could be due to many factors such as higher than average tide changes causing stronger currents which would make this an ideal time to release eggs, or better than normal night lighting giving predators an added advantage when hunting, or perhaps the brighter than normal moon provides a time cue for synchronized events such as spawning. This film shows just a few captured moments of this amazing behavior as the marine creatures react to the rhythm of the moon. BLUEWAVEFILMS This title has online video! 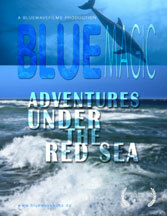 Description - Blue Magic is an underwater movie featuring the beauty of the Red Sea near Egypt. We discover coral reefs, dive through light-flooded canyons and search for big and small creatures. Even some wild dolphins pay us a visit. Description - An organic spectacle engulfs the decks of U.S. Navy cargo vessel, La Salvatierra, which struck rocks near La Paz, Baja California Sur and sank in 60 feet of water. See how nature recycles this wreckage into shelter and nurture for a frenzy of new life. KIDS FIRST!® Adult Jurors say - This is an interesting film. Beautiful underwater shots and relaxing music. It peaks the interest of anyone who Is curious about how it feels (at least visually) to go on an underwater dive. It is relaxing and will play well in the background during a pre-school program or at a party. It is too slow moving for average kids to sit and stare at for too long, but perhaps would return to the screen occasionally to get a glimpse of what is going on. If you can hang with it long enough to see the wreckage, it is engaging as an educational program about nature and habitats. 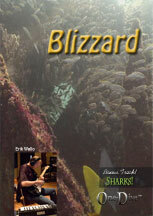 Special bonus feature called "Sharks" shows more beautiful underwater footage including some lovely sharks. KIDS FIRST!® Kid Jurors say - It moves slowly, but the fish are beautiful. I always wondered what it would feel like to swim with fish, and this film helps me to understand. I don't know why it is called Blizzard. I was expecting a film about the weather, but this is about fish. I like to watch parts of it and try to identify some of the creatures. I do not think my friends can watch this entire movie unless they were studying fish or wanted to be a diver. Description - Dive on a spectacular coral garden. Divers encounter schools of fusiliers, redtooth triggerfish, unicorn fish and midnight snappers. Also, solitary creatures like nudibranchs, titan triggerfish, cuttlefish, lion fish and leaf scorpionfish. KIDS FIRST!® Adult Jurors say - Beautiful underwater photography with no narration. It's fun to see fish and creatures in their own environment. However, since there is no narration, it does leave you wondering what everything is. Shows a variety of different plant and animal species which are visually appealing. Background music is very calming. Video footage is appealing and colorful. This is an extremely visually appealing video. 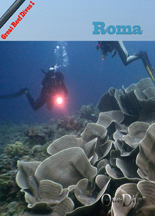 It has wonderful underwater footage that makes you feel as if you are scuba diving with them. The colorful plants and animals in the ocean are great to look at. Non narrative but the music is very calming. Not sure why this is titles, "Roma." KIDS FIRST!® Kid Jurors say - The divers went underwater and they filmed a lot of fish and corals, and a lot of sea life. There are four divers, it seems like two are filming. My favorite fish is the eel. I like the music - it's soothing. I like the sea life, because I like animals. It got me to think about how much more wildlife is under the water - more than I could ever imagine. I thought about maybe diving someday. Good for rest or quiet time too. Description - Join a spectacular dive on a huge seamount, covered with hard and soft corals, and giant sea fans. Divers encounter schools of blue anthias, drums, blackfin barracuda, a hawksbill turtle, an eel, anemone fish, giant trevallies and more. KIDS FIRST!® Adult Jurors say - A deep sea dive filled with coral reefs and exotic fish with classical music set in the background. The shots are beautiful, but the pace is very slow. It's interesting to see the dive from the perspective of the dive. This may be useful in a classroom of toddlers to help them nap, or even for adults looking for relaxation. KIDS FIRST!® Kid Jurors say - The kids are intrigued by the visuals at first, but then are a bit bored. This film might works better when shown in small pieces as a way to help relax. Little kids like the fish and it is appealing to kids especially interested in underwater life. Description - Dive off the Caribbean Island of Bonaire, on a reef where divers have identified more species of fish than have been found anywhere else in the Caribbean Sea. Over 50 species of fish appear in this film, among the many corals and sponges. KIDS FIRST!® Adult Jurors say - You are diving the Bari Reef! As you enter the water, you encounter fish and plant life in every color of the imagination. Eels appear and disappear into small rock like structures. Fish seem to be conversing with one another, gliding before your eyes in schools, and exhibiting tricks before the camera. There are gardens of coral to rest beside while listening to the peaceful sound of the water. This otherworldly adventure has no instruction to guide your thoughts. You are on your own to observe and experience your surroundings. A narrator is not needed; in this film the fish speak for themselves. By going through the dive from start to finish you will notice a diverse and multitudinous amount of life that you may be experiencing for the first time, or enjoying identifying those you are familiar with. 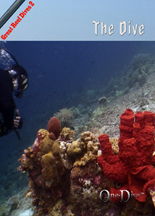 The menu includes an option to play slideshow, which are photos the diver has taken during the adventure. It serves a s a companion to the dive, and is very helpful in identifying fish you see in the main movie. KIDS FIRST!® Kid Jurors say - "It was nice how they to make it real by doing the breathing sounds like you are really underwater." "The film gives insight into what it is like to be underwater. It doesn't show the camera, because the diver is supposed to be YOU." Most kids agreed it was too long, some would have liked to know the names of the fish, but others agreed it would be annoying to have a narrator. "The music was above average and seemed to be trying to lend wonder to what you're seeing, but its efficacy in that respect was questionable." "I became more observant as I searched for all the fish." "Makes me want to learn more about diving." "Fish are so strange, interesting, foreign, so the film entices me to understand them and their environment better." This seems to play best to older kids who had longer attention spans and didn't need immediate entertainment. Description - Visit a famous dive resort on a remote island in Indonesia. The diving is spectacular, despite the rough weather. Divers tour the village of sea gypsies who are transitioning from subsistence fishing to an ecotourism-based economy. KIDS FIRST!® Adult Jurors say - The underwater scenery and breath-taking views are the most appealing thing about this. The reefs are beautiful and the diving is amazing. There is calming music. Overall it is a bit slow-paced and the lack of narration made it less able to hold my interest. This would be very appealing to those who are interested in, or enjoy, underwater diving. 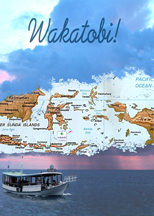 It might spark some interest in Wakatobi and what it would be like to go there. KIDS FIRST!® Kid Jurors say - They enjoy seeing some of the underwater scenes and all the fish and reefs. Some kids thought they would like to have learned more about Wakatobi from the film. "It was really cool at first." Although they liked many of the scenes, it did not hold their interest overall. "It is more for adults because kids will lose interest after a few minutes." Description - Ocean Annie, Makaio and Fringy are back form the deep in their yellow submarine, the Imagination Explorer, to take you on another adventure to explore California. Go diving with sharks, crabs, lobster, sea stars and find your way to a sea lion rookery! Look for whales and dolphins too. KIDS FIRST!® Adult Jurors say - A wonderful film packed full of information about California's sea life. The information is presented in a simple and fun fashion, that is entertaining for a younger audience. Filled with an array of visual stimulus, with amazing cinematography. The clarity of the sea creatures and the brilliance of their colors is eye-catching and sure to attract and draw the audience in. 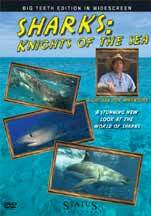 Sure to motivate youngsters to want to learn more about sea creatures. Ocean Annie does an excellent job of respecting her viewers as young children. She is enthusiastic without being condescending. I liked how they introduced the kids to the outfits of a scuba diver. The use of repetition and counting helps to get viewers interact. KIDS FIRST!® Kid Jurors say - "We were pretending to be scuba divers and taking pictures of all the sea animals. We use our imagination and Ms. Crawley teaches us about the animals." The children were captivated by the colors and the feeling that they were actually in the ocean with the dolphins, sharks, crabs, lobsters, whales and Nemo! "I liked the way the fish all got together in a ball - creating the 'school of fish'." They all enjoyed rewarding themselves with a "sea lion clap!" A couple of the kids started creating motions as if they were swimming. They showed surprise at learning new facts about animals they thought they already knew. "I liked the Scuba diving the best, because it sounded cool to be able to see even more sea animals closer up!" "I really liked how they got near to the fish and they even got a microscopic view on some of them." Description - Get ready to dive into your imagination and become an Imagination Explorer with cartoon characters Ocean Annie, Makaio and Fringy the Ichthyologist Fish! Together look for sharks and turtles, watch fish take a bath and, if you're lucky, you will find a flamboyant cuttlefish! 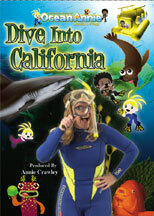 Travel in a submarine and go scuba diving with Annie Crawley, aka Ocean Annie, on coral reefs around the world. Learn about clownfish, hairy frogfish, dolphins and many more surprises! KIDS FIRST!® Adult Jurors say - Ocean Annie excels in teaching about marine animals and environments. I can't imagine a child who would not be inspired to want to see these creatures first-hand. The cinematography captures the true natures of the creatures. The easiest way I've seen for children to learn about the ocean. Teaches about how a scuba diver dresses and communicates with hand signals under water. We learn about how fish find their food and about the "fish bath" where they help each other get clean. Rich in information about marine biology. Reflects the idea that children can be given good size portions of information and challenging vocabulary words, even at earlier ages. Live-action, animation and computer generated effects blend to create the diving experience. Some jurors were confused about what age this is geared for, as there are many parts and gestures more appropriate for young children, but the content was clearly interesting for older school-aged kids. 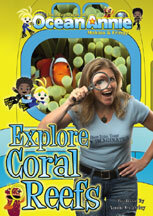 Overall a great education on the different species of animals that populate the coral reef. KIDS FIRST!® Kid Jurors say - We used our imagination and went for a swim in the ocean to see all the cool animals. There were fish who got a bath, one fish opened it's mouth so other fish could get the stuff out , like brushing teeth. We learned dolphins breathe like we do. You have to be safe in the ocean and swim with a friend and use hand signals to talk to each other. "We used our imaginations in a scuba suit and went exploring, saw a lot of fish, we saw a turtle, a whale shark and a lot of creatures." "It was great, amazing, super cool!" The kids participated, answering questions, laughing and singing along to the ocean song. "I have always liked animals and think it is good to learn about them so that we can learn how to keep them safe." Ocean Annie appealed most to the younger kids, but all the kids learned and were engaged. 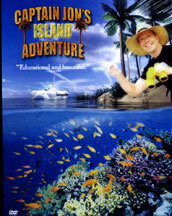 "First we dived into the water and explored the coral reefs. We saw clownfish and shrimp, and Ocean Annie's favorite - SHARKS! We finally made it to the sand place and saw the cuttlefish and learned about its babies." Description - A perfect blend of dream-fulfillment, fantasy & facts, about horses and the young girls who love them. 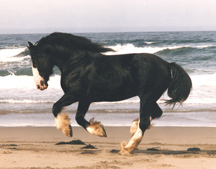 Perfect for a child who would like to learn more about horses through educational fun stories. Original sound score & theme song. KIDS FIRST!® Adult Jurors say - Great show for children who like horses and who already have a fairly extensive knowledge about horses. It is somewhat slanted towards a female audience. The storyline is targeted towards young viewers yet when the narrator describes a horse and why it is considered a particular type of horse it is like listening to an entry out of Grolier's Encyclopedia. Flows well from one type of horse to another with great visuals examples of each. It is mostly narrated by a young child so the language is very appropriate for kids. KIDS FIRST!® Kid Jurors say - Kids who were into horses really enjoyed this. "I liked it because it teaches about horses." They liked how the little girl follows her dream. "She's a kid like me." The cinematography was appreciated by the kids. "The pictures and photography are beautiful." Favorite part: Seeing the horses gallop. Kids who weren't interested in horses did not find it compelling. Those who did were vocal about wanting to share it with their friends. Description - A desperate struggle for survival is raging deep in the heart of Borneo's forests. Illegal logging is rapidly destroying the Bornean orangutans' last stronghold in the wild -- leaving hundreds of orangutan babies orphaned and homeless. Their future seems bleak but a ground-breaking project provides real hope for ensuring the survival of the species. Meet the 35 classmates of Forest School 103 at the Nyaru Menteng Orangutan Rescue and Rehabilitation Center. These precocious red-haired "children of the forest" will get the opportunity, through this innovative project led by Lone Droscher-Nielsen and her team, to live wild on a protected island. Orangutan Island is the foundation for the largest primate rescue project in the world. Go with them on their journey to adulthood as they struggle to form their own society and learn how to live free on Orangutan Island. KIDS FIRST!® Adult Jurors say - Excellent. Well filmed, entertaining and an important real life happening. The format of this show will resonate with kids accustomed to watching a lot of television as it has that "reality" sort of feel. And, it should create a groundswell of sympathy for these endangered great apes. Good work. The educational value of this series and the way it pulls you into what is going on in the lives of the orangutans it what makes it great. It shows how the orangutans started to create their own society so that they could live free. It shows how they face similar problems to what we humans face. The island where this takes place is beautiful and wild with sounds of the forest. The power struggles among the male is very strong. The message we come away with is how humans are destroying the rainforests and the animals are losing their homes. This series helps us to see ourselves through the orangutans. KIDS FIRST!® Kid Jurors say - Liked it. "Kids would like this because everyone likes to watch monkeys and they are so much like us." "The orangutans are treated with respect by all at the rescue center. The workers and manager work well together. "I love the rainforest. The pictures they showed here were very realistic." "The snake scene was a little scary." The kids loved the educational information about this show. "We learned about why we should preserve our rainforests." And, most said their friends would enjoy this series. Description - Just like any pet owner, Jane Goodall believes that all animals can talk -- it's just that we don't always understand what they're saying. 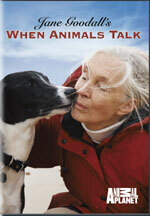 When Animals Talk recounts the amazing stories of animals that have changed the lives of the people they've touched. We witness how animals can learn our language and find unique human-animal partnerships that make the world a better place. We also will discover how we humans can learn the languages of animals through science. We will listen in on the "conversations" that can take place between animals and humans, and the amazing results that these mutual comprehensions can yield. Dr Goodall's message is that communicating with animals brings humankind closer to another world, and that such liaisons can bring about unexpected benefits to both. KIDS FIRST!® Adult Jurors say - Very educational and fun. Attractive to kids and adults alike. Lots of variety in humans and animals. Wonderful diversity in those portrayed. A bit long for the age group. Teaches respect for animals and nature. Very holistic and looks at the big picture. Deep science and historical grounding. Teaches patience. Stresses no preconceived ideas about living things. Beautifully edited and produced. KIDS FIRST!® Kid Jurors say - Kids enjoyed this but they did feel it was a bit long. "It was interesting that they talked about more than monkeys." "It made me wonder what my cat is really thinking." "I want one of those birds that can talk." Some of the claims were a bit unbelievable until they explained about the training." "Those people were amazing. They are from all over the world. Everyone seemed really into what they were studying or training." "I liked how they moved from one story to another so you never got bored." "It's a little too long but it's all interesting." "I would like to learn more about the rat training." "The trained dogs were amazing!" Favorite parts: 1. Rat training, 2. Kids reading with the dogs, 3. Dogs at Ground Zero, 4. Bird that can talk. We loved it! 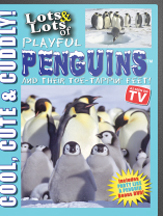 Description - Learn essential facts and trivia about all 17 penguin species, plus arctic animals, scenery and mammals. Features sing-a-longs and music videos by James Coffey. KIDS FIRST!® Adult Jurors say - Cute. The music and songs by James Coffey are really terrific. He's a great song writer and performer. The images of the penguins show them in a variety of situations - wintering in frigid climates and summering in not quite so cold as they swim in the open water. Anyone who watched the Oscar-winning "March of the Penguins" will enjoy this as it shows yet another view of these magnificent creatures. It's brimming with facts but most compelling is the music. It's sort of like a music video starring penguins. KIDS FIRST!® Kid Jurors say - Kids love the penguin music songs and the graphics. "I heard and saw lots of different kinds of penguins." They enjoyed seeing the family groups and learning about how penguin parents care for their babies. They enjoyed the underwater footage a lot but, most importantly, they loved the music. "The music made us want to dance." Great pace, it holds the kids' interest. Loved it! Description - A journey along the monarch butterfly trail with colorful characters along the way. Featuring original songs and drawings from host/musician/cartoonist Matthew Craig. Nature lessons presented by Miss Lydia (Lydia Konecky), a park naturalist in the Pittsburg, PA area. KIDS FIRST!® Adult Jurors say - Beautiful show about friends and learning. Well made and informative. Characters are so full of personality and life. Set design is amazing. Matthew's demeanor reminds me of Mister Rogers, the master of quiet intervention. Yet, this up-to-date show has all the elements of today. The story takes us on a butterfly hunt. We follow the butterfly and meets lots of interesting new friends along the way - the talking tree, Miss Lydia. The content is perfect for kids - easy to follow, well paced. And, it's upbeat and fun. KIDS FIRST!® Kid Jurors say - Loved it. Kids really enjoyed watching The Magic Woods to the point that many adult leaders reported that they had to plan a butterfly hunting trip after watching it. It got kids excited about finding things outside in the woods. They loved the songs, the butterflies, the old turtle and the puppets. "They are so funny they made us laugh." Good repeatability. "Let's watch it again - now!" Kids participated. "We sang about butterflies and the songs we didn't sing to, we danced to." "I want to sing along with Matthew." Kids loved the characters. "They all helped each other figure out where the caterpillar went." Kids thought others would enjoy this as well." I can't wait to show this to my friends." Motivated kids to go do something afterwards: "We want to go find butterflies outside now. I want to see a cocoon." "We hatched butterflies at school and now we want to do it again." It engaged the children and taught them something about themselves, the environment and history. This title is available for purchase from THE MAGIC WOODS INC. Description - Bronze Award, KIDS FIRST! Best 2009. In his most incredible adventure yet, Captain Jon takes us around the world to meet three sharks: the Lemon Shark, the Tiger Shark and the Great White Shark. Find out why these creatures are called the "Knights of the Sea." 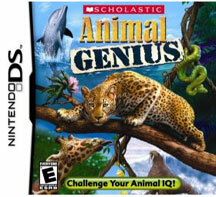 Description - Five games will test your animal smarts, quick thinking and instincts on your quest to populate habitats around the world. Gameplay features include over 140 rounds, five different games, hundreds of photos, and trivia questions. Platform: Nintendo. KIDS FIRST!® Adult Jurors say - Right on target for kids 5-10 - the market for this group has been largely ignored. This is a great start to changing that. Fun, flashy, great music, easy to use. The "no fail" system encourages you to play on. Kids can learn about animals, they can repeat games until the facts become a part of their memory. Great educational value. It's a valuable tool to get kids thinking about animals and early science. It's enjoyable to play so kids will want to play it. As a handheld game, kids can take it anywhere. On the go, it will keep them edu-tained. KIDS FIRST!® Kid Jurors say - Loved the game. It's a terrific addition to the Nintendo DS library. It is easy to play independently. "My friends would definitely like this game. If I had it and they had it we would play it together." "I leaned stuff about sea animals and artic animals that I didn't know." I liked the mazes." "I liked the guessing game where you had to figure out which animal it was." Nothing negative to say about this game. It brings fun and learning together. All the kids enjoyed playing it. During free play time, after play9ing the game you could overhear the kids talking about the facts they learned from the game. 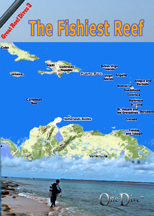 Description - Join Captain Jon on his seaplane to the Florida Keys. Visit the Dolphin Research Center and a man-made reef that's becoming a home for thousands of beautiful fish. Meet people working to learn more about the ocean and how to protect it. KIDS FIRST!® Adult Jurors say - Excellent film with a strong environmental message. 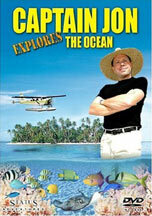 Shares entertaining footage of the ocean and educational aspects of the animal life found there. Explores ways to preserve the underwater ecosystems. Great underwater footage showing beautiful fish in their habitat. Well presented. Makes excellent points about ocean from how tides work to dolphins to the effects of pollution on animals and their habitats. Captain Jon explains how to take care of our world in terms of what anyone can do. His explanations are excellent with good visuals to back them up. One of the best independent films we've seen about the environment. KIDS FIRST!® Kid Jurors say - Enjoyed it, especially the underwater cinematography. "I liked the underwater footage. It was neat watching the animals go in the ship that they put underwater." They loved learning information about the ocean. " Captain Jon told us lots of good facts about the ocean." "It shows how there are different sorts of coral and fish and lots of different types of homes for them." "I learned that you shouldn't pollute because it all eventually makes it to the ocean. It made me think about littering and what I can do to recycle rather than litter." Description - Join Captain Jon on a voyage to the island of Little Cayman, deep in the Caribbean. See colorful coral, fascinating fish, super sea turtles, huge iguanas and hermit crabs - even Pirates. Ride the Status Submarine to learn about the deep ocean. 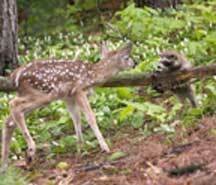 Description - Together, an old box turtle, Shirley, and a lost raccoon, Fernando Hernandafandavez discover the magic of spring and learn what happens to a young fawn alone in the woods. Based on the children's book, Lost in the Woods. Description - Take your child on a journey of sight and sound with this captivating exposure to the magical world above. 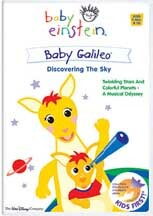 Your little ones will take a musical voyage through the sky, investigating the stars, the sun, clouds, planets and galaxies. KIDS FIRST!® Adult Jurors say - Visually entertaining. Vivid contrasts and colors, good timing of segments. Great art, photography and music. Conceptually beyond infants and toddlers. Overestimates infant verbal skills, but good for preschoolers and older kids. KIDS FIRST!® Kid Jurors say - Strong visuals and bold music holds infant attention for a time, but doesn't sustain their interest. 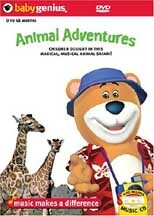 Description - A costume adventure where fifteen toddlers introduce animals, fruits and vegetables from the farm. Features classical and contemporary melodies performed by world-class musicians. Explores new vocabulary and farm experiences. 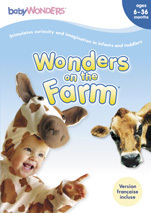 KIDS FIRST!® Adult Jurors say - Simple production, bright colors featuring babies, animals, and flowers. Good cinematography, uncluttered. Units short enough for infant attention span. Inspires an active imagination. KIDS FIRST!® Kid Jurors say - Younger kids were less attentive but pointed at the animals. Older kids reacted when they saw something they liked. One boy wanted a tracker. One girl wanted to be a flower. They repeated the names of the animals. One child found the animals scary. Description - Join the sea fun explorers as they journey to Hawaii and the Bahamas aboard their submarine in search of dolphins. Kids swim with dolphins and learn how they sleep, what they eat, how they play and more. KIDS FIRST!® Adult Jurors say - Simple production, somewhat choppy. Lacks continuity Uneven age appropriateness; animation appeals to younger kids but the information appeals to older ones. Information is very basic. KIDS FIRST!® Kid Jurors say - Older kids found it was too babyish. Little ones danced to the music. Most wanted to learn more about different kinds of dolphins. "Watching the dolphins made me want to see more." "The puppets and dolphins were cute." "They talked nice to each other." Description - An adventure through the San Diego Wild Animal Park shows babies and toddlers interacting with animals from around the globe. Soundtrack features classical music selections. KIDS FIRST!® Adult Jurors say - Simple content, soothing tone. Bright, interesting footage of animals and kids at the zoo. Uses random animated characters to help focus attention on screen. Unhurried pace and no voice-overs encourage caregivers to talk and explain. KIDS FIRST!® Kid Jurors say - Remained attentive for short periods, pointing, gurgling and smiling. Liked the music and made animal sounds. Some liked seeing the babies more than the animals, shouting "BABY!" whenever they saw one. Older kids enjoyed watching the animals' behaviors. Description - Two snowdrifts introduce their forest friends and tell the story of how animals reacted to a snowman who appeared after a winter storm. Live video blends with still photography from the children's book of the same title, and original music. KIDS FIRST!® Adult Jurors say - Exceptional footage of nature in its natural state. Peaceful tone and upbeat, humorous style. Breathtaking scenery, crisp close-ins of wildlife that seemed to know their lines. Reveals nature in a way that very few children get to experience. KIDS FIRST!® Kid Jurors say - Engrossed and amused them. "The real-life animals with the music and the funny parts where the animals are making noises were really good." "Even though snow was talking to animals, we got it." "It is one of the most beautiful videos we have ever seen." Description - A soundtrack of Mozart accompanies scenes from nature and the animal world. KIDS FIRST!® Adult Jurors say - Well produced, nice cinematography. Relaxing music. "Enjoyable, calming." Offers opportunities to discuss animal species and their habitats. KIDS FIRST!® Kid Jurors say - Kids were both entranced and calmed. Images fascinated them, evoked pointing, smiling and swaying along to music. "Can I see the elephant again?" Kids moved in and out of play as specific images caught their eye. Description - Shows lots of baby animals and their parents accompanied by jazzy instrumentals and soothing lullabies. KIDS FIRST!® Adult Jurors say - Well produced, familiar music. Quality visuals show variety of natural environments from jungle to snow and lots of different animals. Simple, repetitive content helps develop language skills. Parents are encouraged to watch with their babies. KIDS FIRST!® Kid Jurors say - Kids watched intermittently. Long; best viewed in segments. Some children responded to the animals by touching the screen and smiling. The music didn't get them to sing or dance along. Description - Have you ever wanted to go on a safari? To discover and marvel at the splendid variety of animals? Join Sir Arthur Blowhard and his assistant Smythe on a zoofari, exploring the wonders of nature's creatures, big and small, up-close and personal. KIDS FIRST!® Adult Jurors say - Contains lots of good information. Children are always interested in seeing real animals. The music is too loud at times. An inside look at animals in captivity. Hosts reflect old colonial stereotypes, and the presentation is a bit shallow. KIDS FIRST!® Kid Jurors say - Okay, although they thought sequences were too long for younger kids. "Too bad they're all in a zoo." "The lions seem so sad."